That’s also exactly why we decided to put together a list of the best accessories you can get for your Chromebook. Chrome OS is ultimately still very powerful and versatile, especially when you throw the right tools with it. Most Chromebooks these days are shipping with nothing but USB-C ports, which can be a huge problem for anyone with, well, any USB accessories. 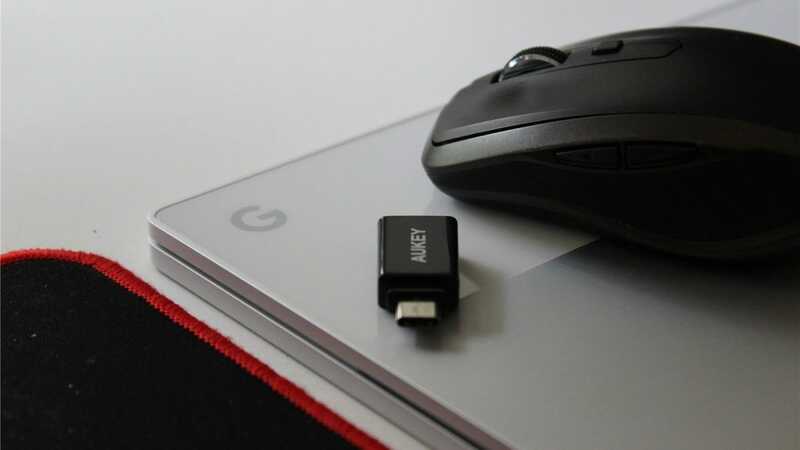 That’s why a USB-C to A adapter is basically a must have for anyone with a USB-C-only Chromebook, like the ASUS Chromebook Flip C302 or Pixelbook. These little dongles are just simple little converters that are easy to throw in your bag for quick access. They’re also cheap, so you might as well pick up a few to have on hand. 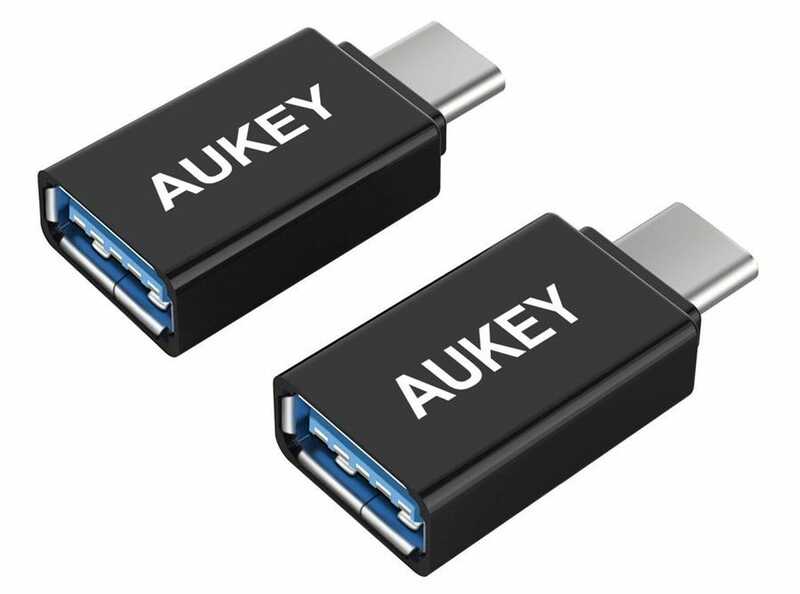 There’s no shortage of these on Amazon, but the Aukey USB-C is a dependable model from a dependable brand. The cool thing about having a modern Chromebook that charges over USB-C is that anything with USB-C PD (power delivery) will be able to charge it, which positions it perfectly for on-the-go charging with a portable charger. 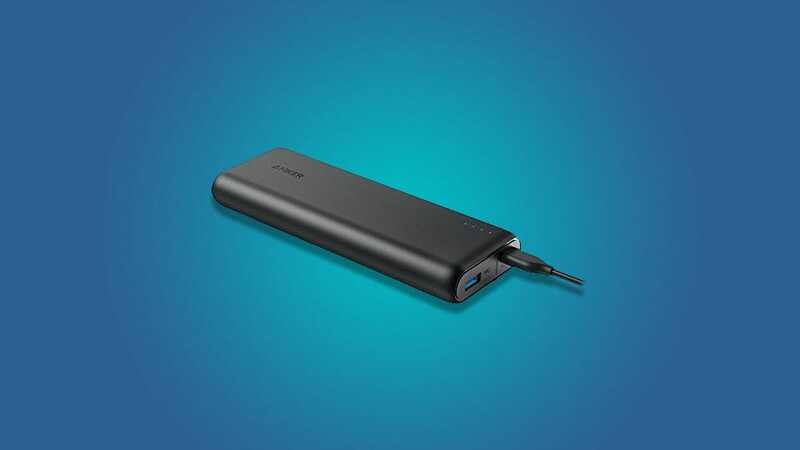 Of course, you’re going to need a powerful battery that provides power over USB-C and has plenty of juice to power up your ‘Book. For that, the Anker Powercore is the perfect choice. It packs 20,100mAh of power and a 30w charging port. You’ll be able to charge your laptop anywhere you want to with this little guy. Boom—computing on the go for everyone. Look, it doesn’t matter which Chromebook you buy, it’s still going to sound like a laptop. If your Chromebook is your main machine, you’re going to want a way to play music without having to deal with the tinny little laptop speakers. The cleanest and most reliable way to do this is going to be with a Google Cast-enabled speaker—like a Google Home, for example. If you’re looking to keep the cost down, the $50 Google Home Mini is a decent option—it’s doesn’t have the best sound quality, but it’s still better than a set of laptop speakers. There’s also the $100 Google Home speaker, which sounds very good for its small size. 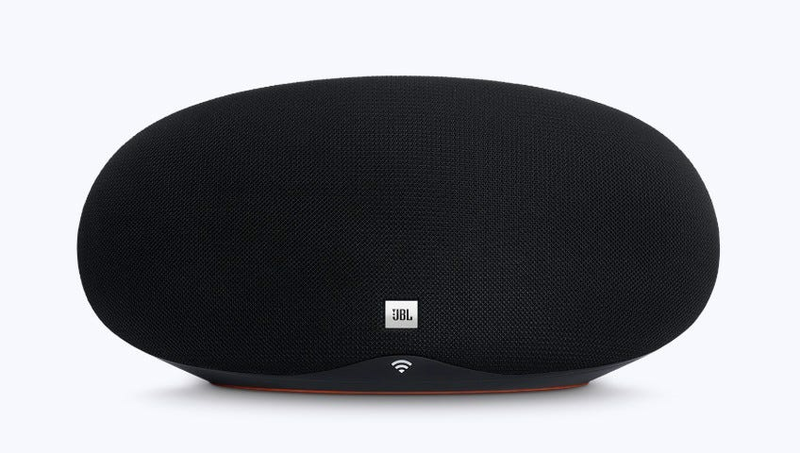 But if you ask us, the best Google Cast speaker right now is the JBL Playlist. At $150 it’s a little pricier than Google Home, but it’s a fantastic speaker that also support multi-room audio—the biggest downside is that the Google Home speakers all have Assistant built in and the JBL doesn’t. It’s purely a speaker. If you really want to go big, there’s the Google Home Max, but at $400 there’s a possibility it costs close to as much (or more?) than you paid for your Chromebook in the first place. But you do you. Touchpads are cool. But for long use or detailed work, they can get tedious. That’s when you need an external mouse. 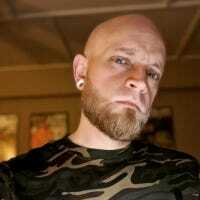 While there are plenty of USB mice out there (even wireless ones), there’s no need to tie up a USB port on your computer—a Bluetooth mouse will fit the bill perfectly. While Bluetooth can be sketchy, it’s stable enough to work a mouse very reliably. 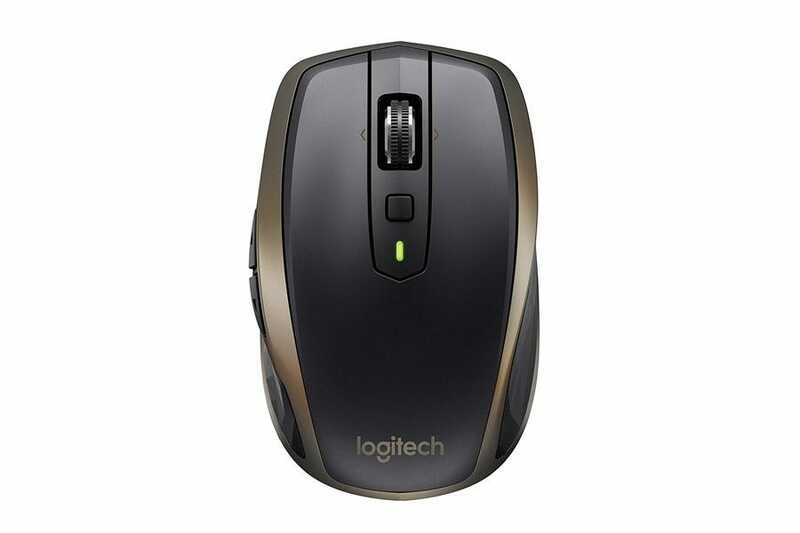 And if you’re looking for one of the best Bluetooth mice you can get, the Logitech MX Anywhere 2 is a great choice. It’s extremely reliable, ergonomic, and still portable. If portability (and price) aren’t an issue for you, then the larger MX Master 2s ($75) is also a great choice. Chromebooks have never been strong in the gaming department, but the addition of Android apps really opened that door—there are a lot of great time killers available for Android, and many of them work flawlessly on Chromebooks too. If you’re into taking the gaming thing to the next level on your Chromebook, adding a controller to the mix is a solid way to do it. Not every title in the Play Store will offer controller support, but it’s definitely an improvement for all the ones that do. 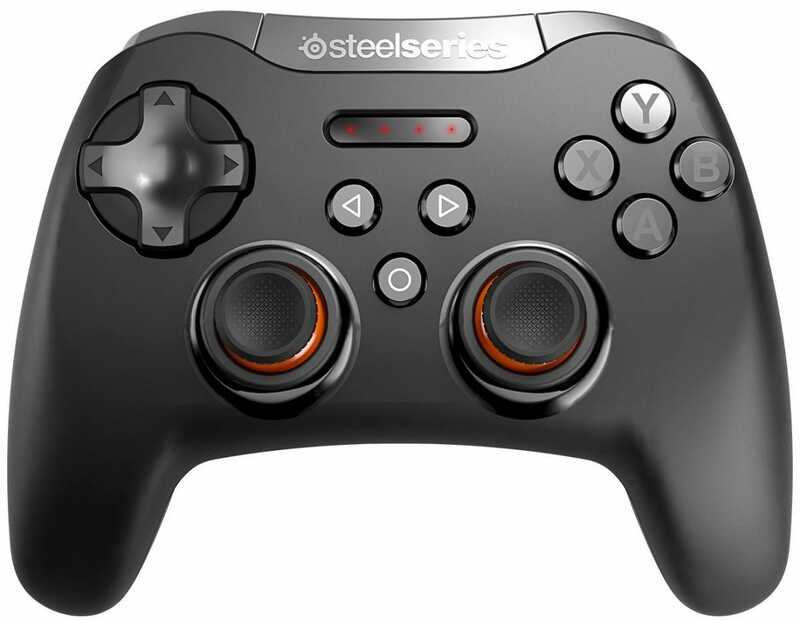 And when it comes down to it, it’s hard to beat the SteelSeries Stratus XL. This is our top pick for best Android controller, so that applies here too. It’s well made, has all the buttons you’d need from a controller, and just generally works well with Android games. As a bonus, you can also use it on your Windows machine if you have one. If you’re a “one computer to rule them all” kind of user, and a Chromebook happens to be your weapon of choice, then you probably know there are times when a full desktop experience would just be… better. The good news is that you can easily make a desktop of your Chromebook with one simple tool: A USB-C Dock. These docks will let you connect peripherals like an external monitor and USB A devices, as well as offer a full-size SD card slot—all over a single USB-C port. These docks are also designed to power the device using USB-C PD (power delivery), so it’s everything you need all in one package. Just plug one cable in to transform your ‘Book into a full desktop. It’s killer. 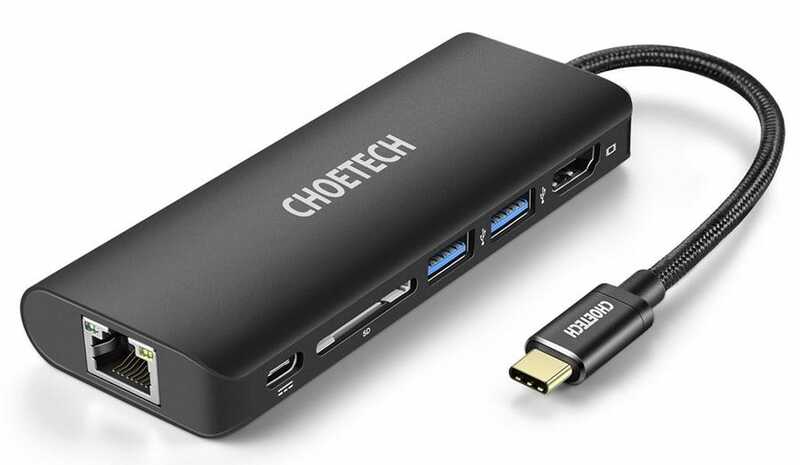 There are a lot of options out there, but if you’re looking for a dock that covers an external screen, adds a couple of USB A ports and SD card reader, as well as an ethernet port, the Choetech USB-C Multiport Adapter is the way to go. It also supports USB PD at 60w, so it’s plenty powerful. At only $50, it’s a great buy. Once you connect your Chromebook to a dock, you’ll need to throw some other accessories at it get the full desktop experience. Namely, a keyboard and external screen. If you’re really looking for a clean setup, a laptop stand is also great to have. Logitech K810 Bluetooth Keyboard ($100): This Bluetooth keyboard is a great addition to any desktop setup, and it looks great next to the MX Anywhere 2 or Master 2s mice we talked about earlier. Plus, since it’s Bluetooth, it won’t tie up a USB port on your dock. ASUS VE278H 27″ FHD Monitor ($160): If you’re looking to add a big, bright screen to your Chromebook mix without spending a lot of money, it’s hard to beat this 27-inch ASUS screen. COTEetCI Aluminum Laptop Stand ($25): The great thing about this stand is that it can be used two different ways: with the laptop open (as a riser), or with the laptop closed and docked vertically. Super versatile, and only $25. The best part about all these accessories is that not a single one of them is Chromebook specific. All of them are accessories that enhance your Chromebook but will work just as easily with any other laptop or desktop computer. Snap up any accessory you want, knowing well that you can plug the mouse, monitor, or USB-C hub into your next computer with ease. Full size kitchen blenders are great for big recipes (and big pitchers of Margaritas) but they’re not so great for a quick smoothie or shake in the morning. These bullet blenders make a quick shake and cleanup dead simple.